Blizzard had set up a pattern of sorts, when it comes to BlizzCon and Overwatch. BlizzCon 2016 and 2017 both introduced new maps, Oasis and Blizzard World respectively. Many were likely expecting the same for BlizzCon 2018, but unfortunately that doesn’t seem to be the case. Noting that these announcements can get “lost in the shuffle,” Kaplan assured fans that new maps are still in the works. Also, don’t there won’t be any Overwatch announcements at BlizzCon 2018. 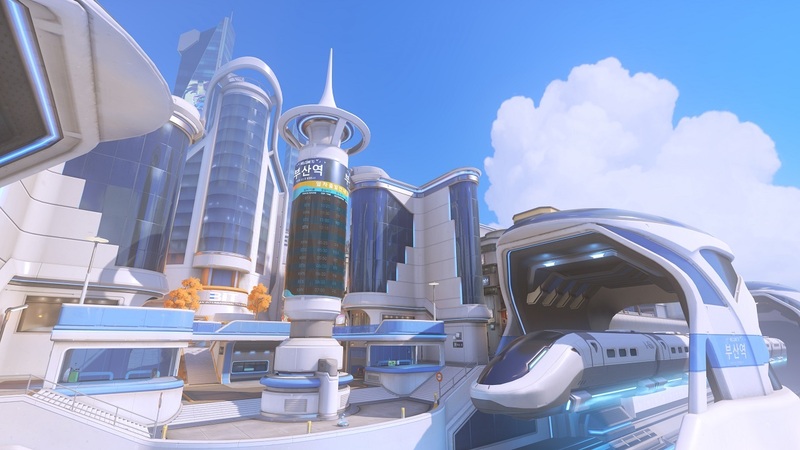 Kaplan teased some “amazing announcements.” Considering Overwatch’s most recent map, Busan, was only just announced in August 2018, the news may be slightly unsurprising. Kaplan also teased the newest Overwatch patch, 1.30. It will buff Roadhog, Reaper, Symmetra, and Mercy. He didn’t go into any details regarding the update, but promised patch notes will be out soon. Tempering expectations has been a bit of a theme for BlizzCon 2018. Some new merch fueled speculation of a new Diablo game, although Blizzard quickly shut that down. The company even had to make an official statement on the persistent rumors. Even so, it looks like we’re in for some good announcements at BlizzCon, as per usual. What Overwatch news are you expecting to come out of BlizzCon? Are you expecting a new hero, perhaps? Let us know!